Which spa do you go to for inspiration, which has the most elegant private space, and which one comes up with something unusual to promote guests’ wellbeing? Treat yourself to a spot of relaxation and find out! 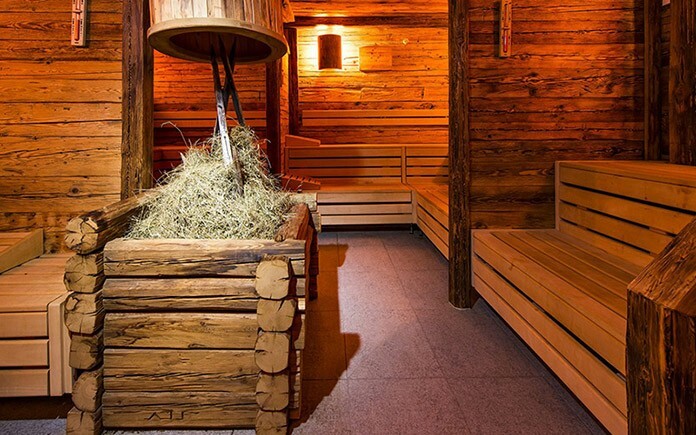 A steam room or sauna is now a matter of course for many types of accommodation. But for that perfect spa and leisure experience there is no alternative but to head for the new Ovaverva Pool, Spa & Sports Centre or to one of the 5-star hotels. Ovaverva. 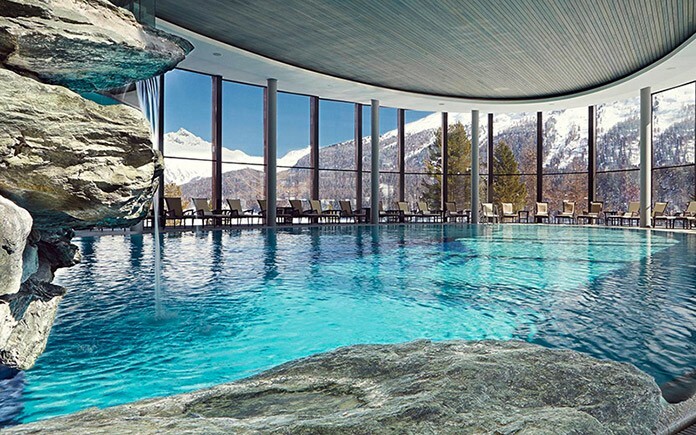 After a construction period of 26 months and an investment of 69.2 million francs (including a reserve of two million francs), the municipality of St. Moritz has created a new attraction with the OVAVERVA indoor swimming pool, spa and sports centre, that will offer huge added value to the entire region in the fields of leisure, spa and sports activities, as well as a new stimulus for the tourism sector and major sports events. It has been a long day on the slopes ‒ your muscles ache, your body craves relaxation, your mind seeks inspiration. And your spirit longs for somewhere soothing yet varied, a place to please the eye. 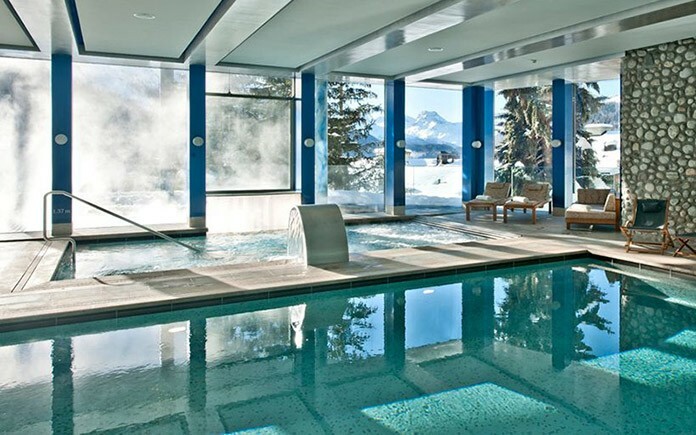 Such as the St. Moritz High Alpine Spa at the Kempinski Grand Hotel des Bains, for example. Guests will experience the feel of natural elements and the purest products in the Alps. Glacier water, Bergell granite, herbs and Engadin woods create a pleasant atmosphere. 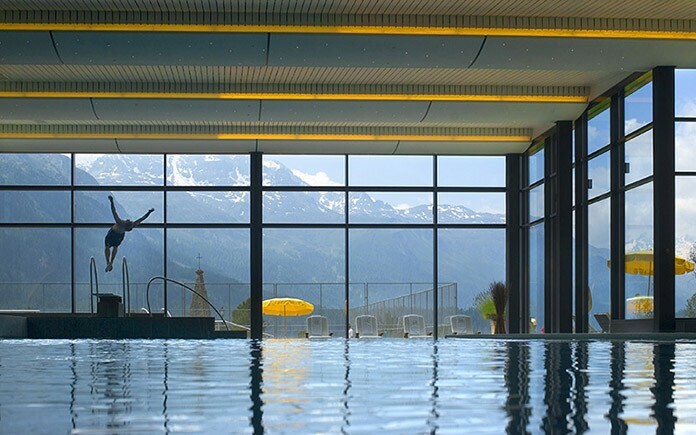 Discover a sense of wellness for your body, mind and soul, combined with incomparable views of the St. Moritz mountain panorama. 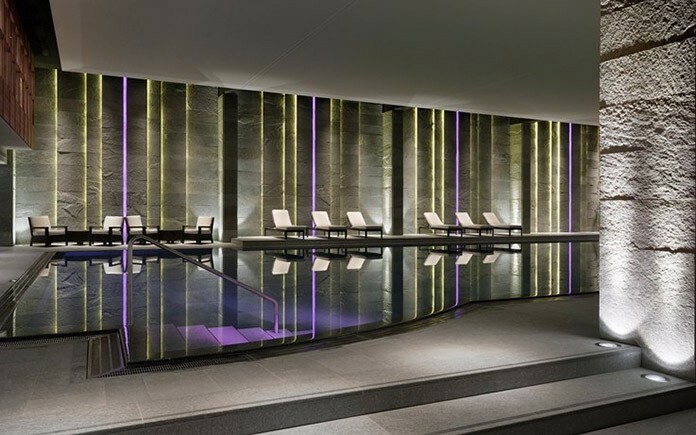 Welcome to the world of the Carlton Spa – and its Leading Spa Award – set out on three floors and more than 1200 m2 of luxuriously appointed amenities, designed to transport you to new levels of well-being. The spa at the Kulm Hotel, too, is the epitome of elegance and meets the highest requirements throughout. 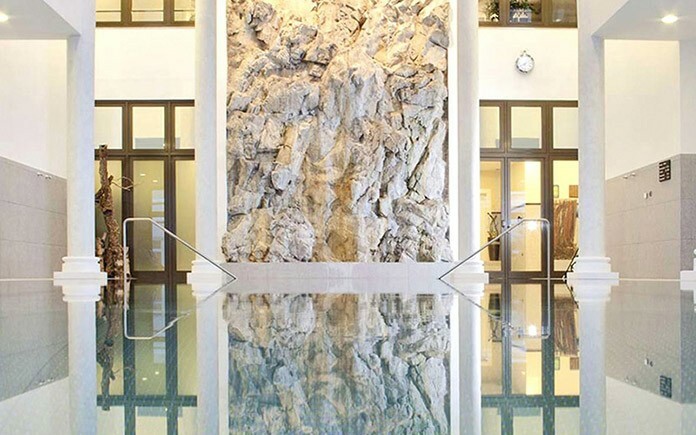 The spa philosophy of wellbeing at the Kulm Spa St. Moritz rests on the three pillars of relaxation, detoxification and regeneration, with tradition and innovation going hand in hand. Embark on a journey to this wellspring of beauty and inner peace, breath pure mountain air, and regain all your energy reserves. 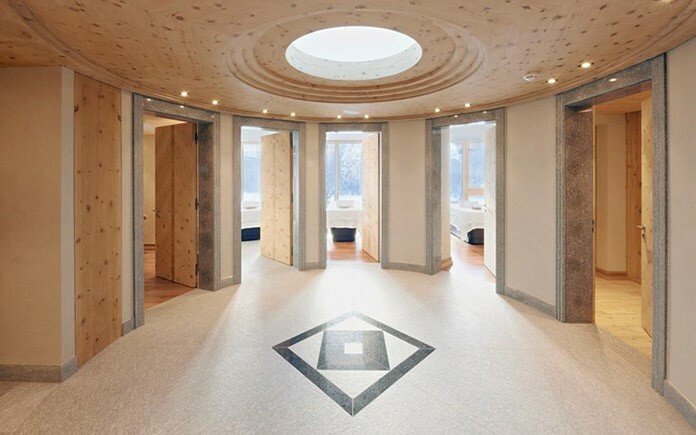 When it comes to possibly the best and most enjoyable of head to toe treatments in a treatment room, Badrutt’s Palace Hotel’s ›Palace Wellness‹ now reigns supreme in the Swiss Wellness league with the innovative design of its Spa Suite Iris. It is a novelty that a spa suite has its own integrated beauty station and hairdressing equipment – the foldaway basin cabinet system is of particular note, as is the luxury motorised treatment chair. At the flick of a switch the reclining chair can not only be spun 360 degrees but can also be moved seamlessly into a horizontal position so that the guest can experience a hair wash or treatments in complete luxury and comfort. The spacious wellness and fitness area at Suvretta House will fulfil you every wish and benefit your body: the facilities on offer include a 25-metre swimming pool with underwater jets and open-air whirlpool, solarium and sauna with Finnarium, Sanarium, Vaporium or Caldarium, bodybuilding and cardiovascular workouts under professional supervision. Beauty treatments, massages and therapies round off the available services. 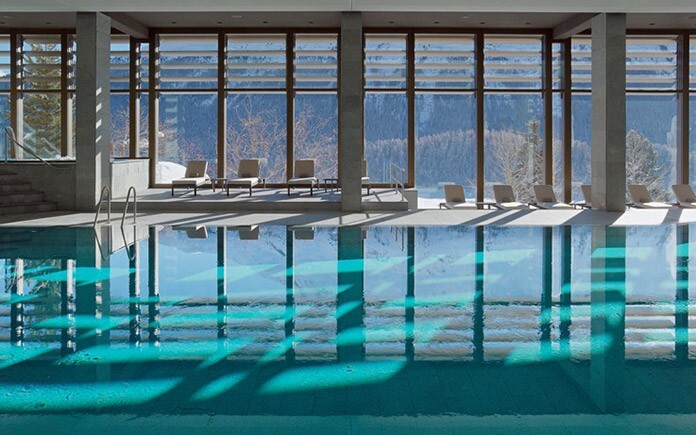 The finest spa & leisure experience is celebrated here, shielded from prying eyes yet with fantastic views of the vast landscape of the Upper Engadin.